Voted "Best Golf Professional" in 1927 and 1928, Johnny Farrell beat Bobby Jones by one stroke in the 36 hole playoff to win the 1928 United States Open. 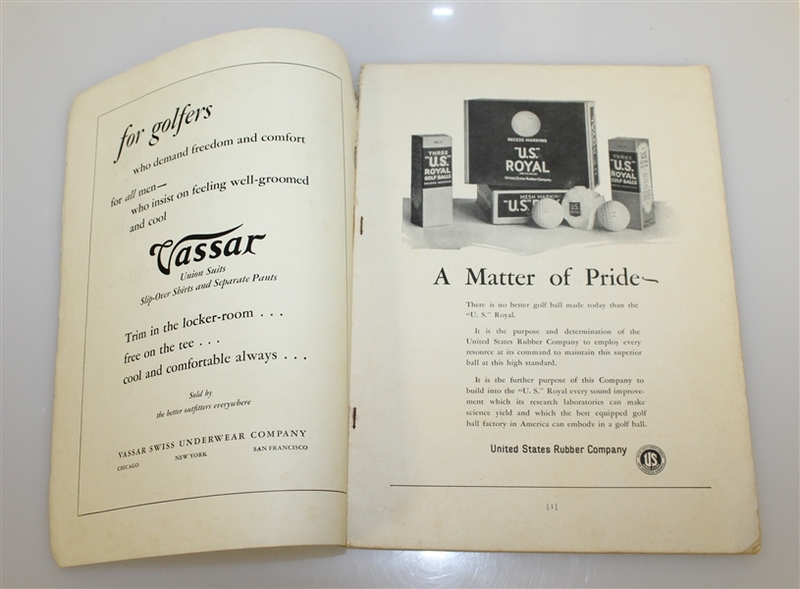 Farrell was also a member of the first three Ryder Cup teams for the United States in 1927, 1929, and 1931. 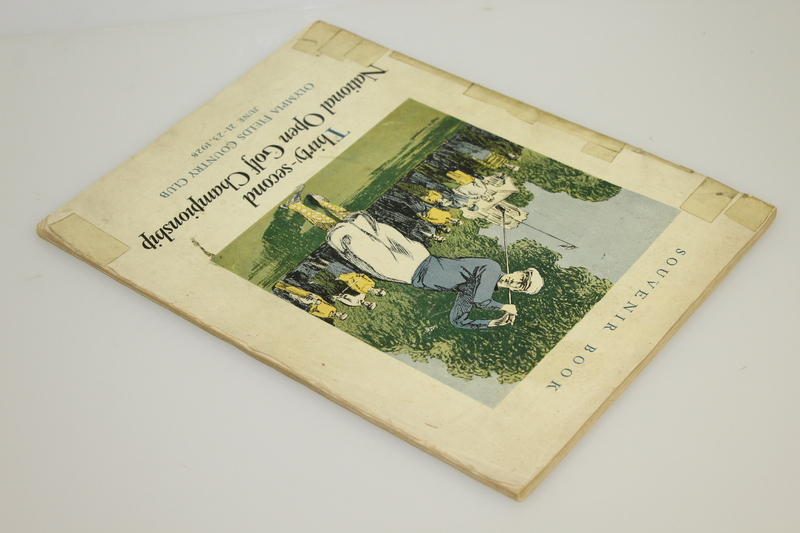 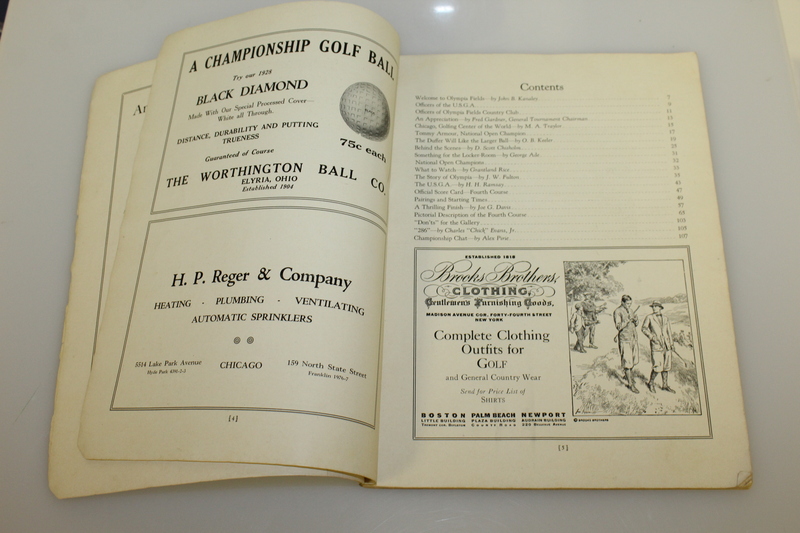 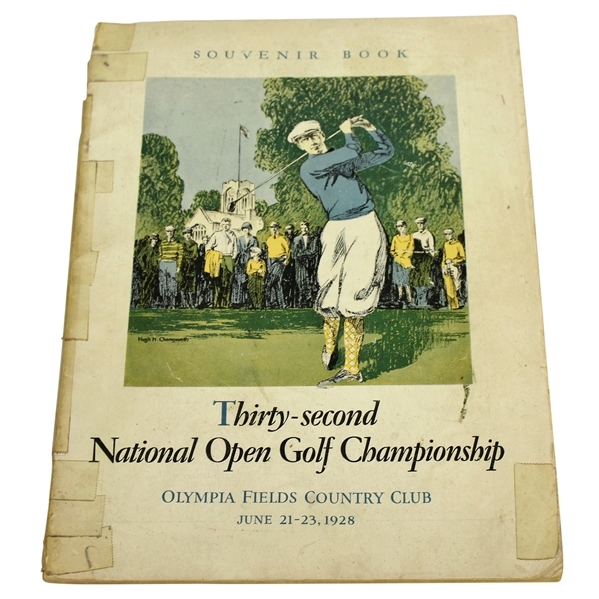 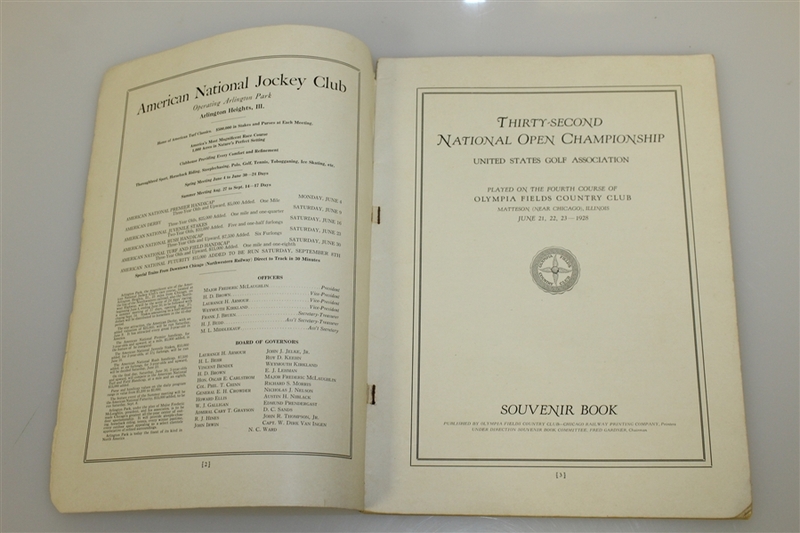 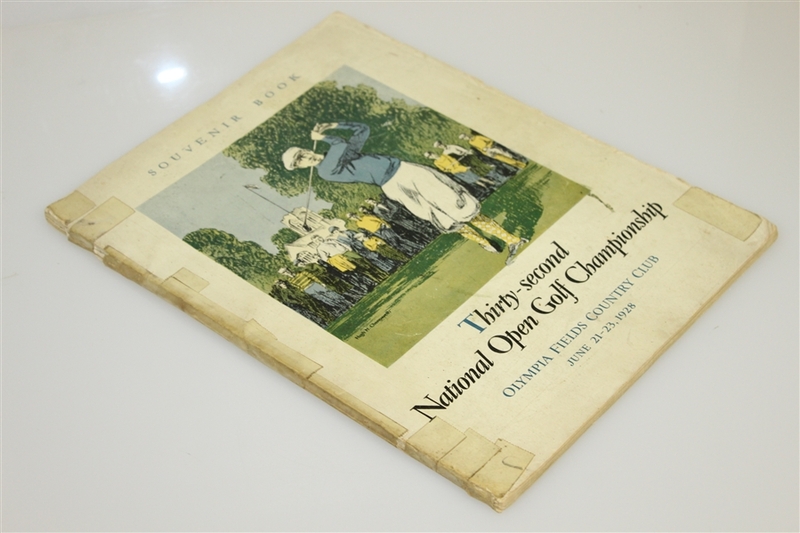 Offered here is a program from the 1928 US Open at Olympia Fields. 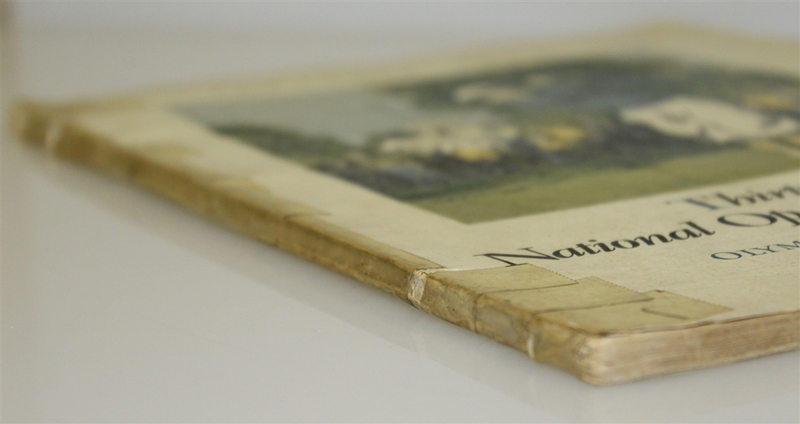 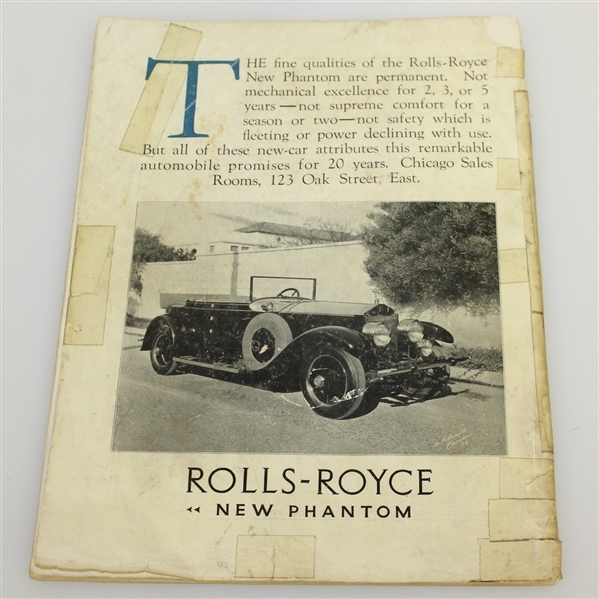 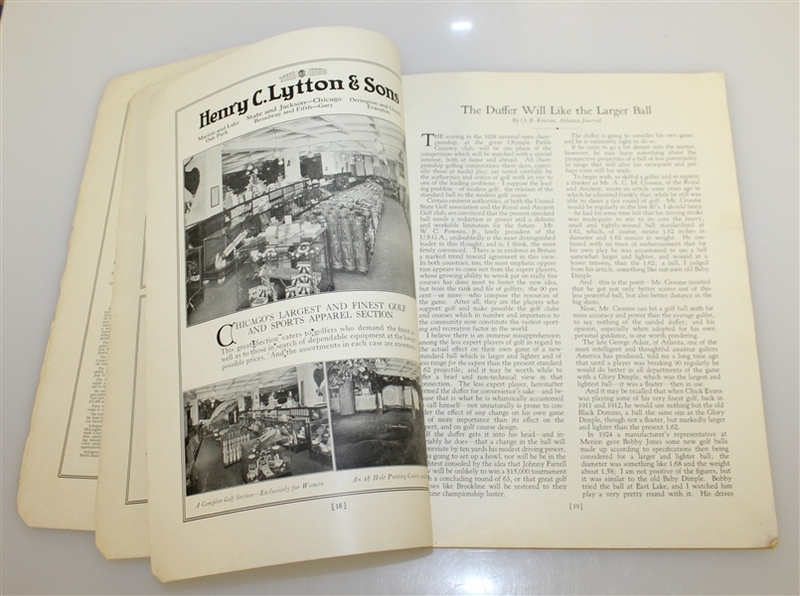 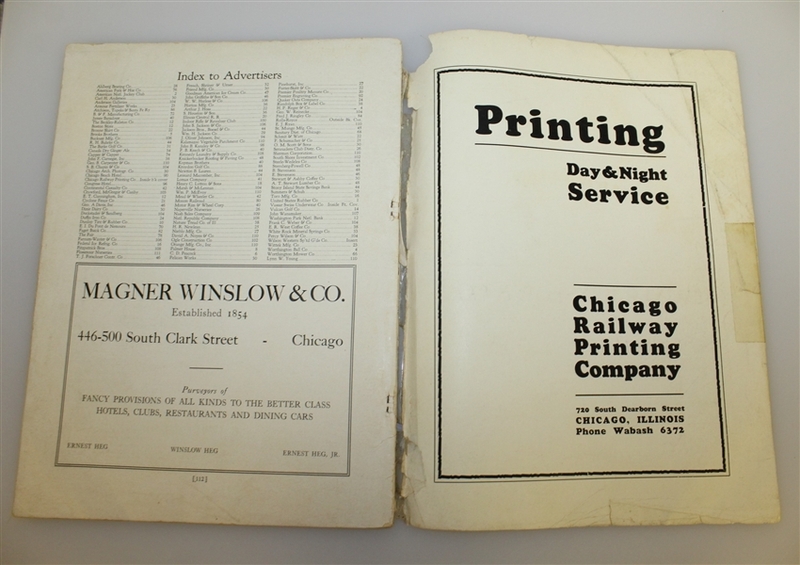 The cover of the program has been taped and is partially detached, please see photographs.